DIRTT is prefabricated construction material. DIRTT happens to also be at the helm of a construction revolution – one that creates a dialogue about the way we build our interior spaces. Conventional construction is a broken industry that wastes resources, money and time. 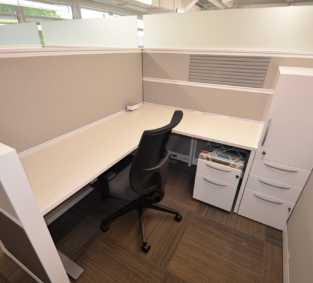 DIRTT rejects these inadequacies by utilizing a lean manufacturing approach. Through disruptive innovation, DIRTT challenges values, changes behaviors and confronts perceptions to yield a far more cost effective solution than what traditional building methodologies deliver. You can’t afford to NOT build with DIRTT. DIRTT is a multimillion dollar company based in Calgary, Alberta with additional manufacturing facilities in Phoenix, AZ and Savannah, GA.
Publically owned and traded on the Toronto Stock Exchange, DIRTT’s profitability has planted seeds all across North America and the world. We’d say that makes it very real. Modular construction is here to stay, and building with DIRTT will become the norm. How do I build with DIRTT? DIRTT is spread through a community of committed Distribution Partners that work closely with stakeholders to ensure a successful project outcome. Are you bruised from the failings of conventional construction? Then yes, you should apply ICE! STAT! ICE is a powerful software that takes you from design and real-time 3D visualization to pricing, specifications, and material take-offs right to the manufacturing floor. We are a unique team of diverse thinkers, strategic visionaries, energetic problem solvers and passionate get-er-done types. With backgrounds ranging from business management and accounting to graphic, interior and architectural design, our group delivers DIRTT solutions that adapt to change, perform to the highest standards, make fiscal sense and look good to boot. With over 100 collective years of construction experience, we embrace current technology to challenge the way interior spaces are built. We disrupt the status quo. We are your Wisconsin DIRTTbags. Lerdahl is the DIRTT Distribution partner for the State of Wisconsin, already having garnered the elite “Best New DP” in 2013. The Middleton Green Learning Center (no showrooms here folks!) boasts active offices and workstations, an exam room vignette, an interactive tech table and a conference room with patented technology of embedding TVs in walls. In effort to spread more DIRTT, the Milwaukee GLC opened its doors in the Historic Third Ward in the summer of 2013. Collectively, over hundreds of contractors, developers, business executives, architects, designers, students and curious innovators have toured our GLCs to learn about building better with DIRTT. We’d love for you to visit and promise you’ll only get DIRTTy in the best way possible.